It's time to learn how to keep Christmas simple and still have plenty of Christmas Fun!. This section will feature the many ways to simplify Christmas planning for your party or dinner, and for buying gifts and decorating the house for Christmas festivities. What does Christmas mean to you? Christmas holds different meanings for everyone, as we get older Christmas changes from being about gifts to being a time to spend with family. All young children love the expectation of Santa arriving and bringing hordes of gifts. It is wonderful to see their faces light up when that Xmas gift is placed in their hands. So, this year why not take some time to reflect on Christmases gone by and see what this year will mean to you. What do you remember about Christmas when you were a child? Was it a time when you only thought about what presents and gifts you were going to get. Were you excited about having that turkey dinner along with Christmas cake and cookies? Or maybe you were just hoping to see a white Christmas, once in your life. There are so many different expectations and they all mean so much to us. Now that you are older, you can take the time to reflect on what Christmas meant to you. Maybe this will provide a way to install a deeper meaning of Christmas into your children’s’ lives. It does seem that these days, kids are only concerned about receiving the latest blue ray videos and games. What about going back to the root of Christmas? Planning for Christmas is the perfect time to review how you feel about the Holidays, what your beliefs are about the season, and to maybe look at ways to simplify your activities so that you can all have more Christmas fun, while reducing your stress and expenses. Christmas is quickly approaching and, as you know, things get pretty hectic during this time of year.This is especially true for those of you with children. Once the Thanksgiving Day celebrations end, moms everywhere are in a frenzy trying to get everything ready for Christmas, which is only four short weeks from Thanksgiving! Since things are so chaotic around the holidays between work, school and extracurricular activities, most mothers feel like they’ve worked a miracle when everything finally does get done. It’s safe to say that most mothers dream of finding a way to simplify Christmas so that they’re able to actually slow down and enjoy the season. However, they don’t know where to start. If you are one of these moms, or even a busy dad, then keep reading. The tips below are designed to help you get organized for the holidays. Once you’re able to get things organized, you’ll find it much easier to enjoy Christmas and all of its festivities. You may not feel very festive in November (or late October) when the Christmas décor starts to hit store shelves, but do yourself a favor and shop for your holiday decorations early. Take a day to shop for the items you need to brighten up your house this Christmas…before Thanksgiving. Bring the items home and put them in a closet somewhere and leave them there until the day after Thanksgiving. In order to make the most of your time this holiday season, put your Christmas tree up the day after Thanksgiving (if you use a fake tree). Once the tree is up, follow with the rest of your holiday decorations. The same goes for Christmas lights…get them up on the house as soon as you can after Thanksgiving! Now, if you buy a real Christmas tree, then go ahead and put up the rest of your decorations and save the tree for a week or so before Christmas. Getting your decorations up early will not only bring in the holiday spirit and allow you to enjoy it longer, but it will also reduce some of that holiday stress instantly! Change the color of your usual Christmas decorations. If you typically go with red or green, why not try white or gold this year? Bring the outside into your home by decorating with white ornaments, window decals, candles and table decorations. You can spray snow on your Christmas tree and even on the inside of your windows. This is especially festive if you live in an area where there is little or no snow. Here are a few ideas to inspire that creativity for holiday season decorating. Create an eye catching display of poinsettias. Buy more than just one and tie ribbons around the pots. Different size plants will give variety. You can also tie a ribbon around the whole group. Spray or sprinkle gold glitter to give the plants and extra something. An easy way to dress up entry ways is to tie red ribbons around the door knobs. Don’t forget your bathrooms. Display red and green glycerin soaps, bath gels and oils. Make a snowman family on your front lawn to greet visitors. Wrap your front door with white paper and decorate with a red ribbon. You can have visitors sign it, or decorate it with Christmas cards or cutouts of Christmas symbols. Using a sparkly glue pen, decorate inexpensive white bathroom accessories like your soap dish, toothbrush holder and garbage can. Hang fresh or fake mistletoe throughout the house. Especially in doorways. Attach a beautiful ribbon across the wall in a room. Secure with thumbtacks and use clothespins painted in Christmas colors to secure Christmas cards. Use sugar cookies as Christmas ornaments. Cut the dough into Christmas shapes using festive cookie cutters. Put a hole at the top. Bake. Then put a ribbon through the hole at the top and hang on your tree. Decorate the stems of wine glasses with ribbon and sprigs of holly. Try using a few of these simple Christmas decorating ideas this year. On this page here on the site I have loaded Another 65 Simple Christmas Decorating Tips to help you simplify Christmas this year! 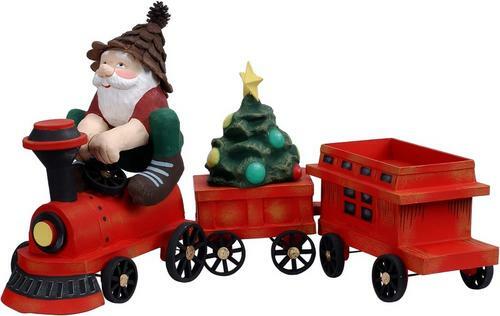 You can jazz up your Christmas decorations and set a different mood in your home. Silver and gold and mistletoe, while not necessary for the celebration, surely help to usher in the spirit of Christmas. A jubilant Christmas display sets the atmosphere for a joyous Christmas. But you don’t have to go all out spending time, effort and tons of cash to set the tone in your home. Adding small touches here and there can create a big impact in your Christmas decorating. One of the things that is most likely to ruin your Christmas is the ordeal of last minute gift shopping with no planning or system. Christmas has definitely become commercial and so many people get caught up in trying to find that perfect gift. 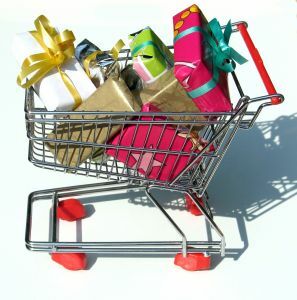 There are so many gift ideas that could potentially be the ‘perfect gift’, it is still difficult to make that decision. But if you are faced with countless options, you do have an alternative solution and you can simplify your Christmas gift giving with some of these suggestions. You can simplify the whole process and avoid all that stress by planning your gift list early in the year and taking advantage of seasonal sales to grab bargains. It spreads out the cost of Holiday gifts over the year, and the pressure to find the 'perfect' gift, when you can take your time for leisurely shopping and save money at the same time. You already plan gift shopping for birthdays spread over the year, so its not hard to look at Christmas gift ideas at the same time as you make up the birthday gifts list..
Shopping at the best annual sales (beginning with the Boxing Day and New Year sales) keeps costs down and gives you a head start to a more relaxed Christmas. There are many reasons to begin shopping early in the year. Firstly, prices for popular gifts like toys often go up around the holiday season. Buying things early means avoiding the price hiking. Another problem that late shopping can lead to is less choice. The longer you leave it, the less popular products there will be available. This means that last minute shopping can force you to buy things that you otherwise wouldn’t – things that may well be more expensive than the alternatives that are no longer available. There really isn’t anything as “too early” when it comes to shopping for Christmas gifts. I like to have most of my gifts planned and bought by September where possible. Then that leaves November for creating decorations, and December for the baking of Christmas cookies, cakes, marzipan fruits, candies and so on. A lot of people like to wait until after Thanksgiving to start their shopping, but really, if you start shopping a month or two before November, you can actually be done by the time Thanksgiving is here, which will allow you to enjoy Thanksgiving and the entire Christmas season even more! if you wish to avoid the Christmas rush and crowds in December use the internet for online shopping. With increased security methods, shopping online is perfectly safe and very convenient. 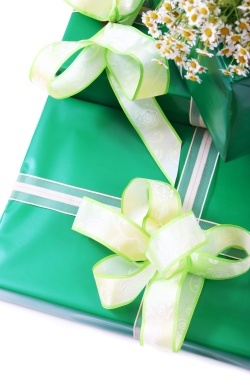 Gifts can be purchased and received within 2-5 days. Shopping online is quickly becoming the most popular way to buy products, and not without good reason. Although it doesn’t give you the chance to get a hands-on experience with things before you buy them, it lets you compare prices and shop around very conveniently. Bargains are to be found everywhere on the internet, and if you plan ahead you’re even more likely to find some real cost cutting options. Even major gifts like televisions and games consoles can be found for really good prices if you search around with online retailers. Gifts don’t have to be bought, and traditionally many holiday gifts have been home made. There are loads of things you can make, but obviously not all of them can necessarily replace typical gifts like stereo systems and so on! However, small home-made gifts can replace a lot of the lesser gifts that we buy each other just to bulk up the amount of goodies that we give. Try including gift baskets for each member of your family. Fill it with their favourite items and treats. The best thing is that these gifts are often treasured, as people appreciate time and effort that you’ve spent making something just for them. In the next section you will see some simple and fun ideas for handmade Christmas gifts that you can try out this year. You can use this idea for simple stocking stuffers, but it is also a lovely gift for bigger effort gift giving. The idea of gift certificates can also be used around bartering. You can help your neighbour with gardening and they can help you with painting your house. Otherwise, a gift certificate could be a promissory note to your family or friend to wash their car, or bake a dinner, or babysitting, or mow their lawn, a massage or foot rub, or whatever you are skilled at that they might just love getting a freebie of. Print them up on the computer and roll up to give tied with a ribbon bow, or presented in big envelopes with a decoration and gift tag glued on it. Play around with the idea and talk to friends and family about whether they have a wish list of things they would like someone else to do for them as a treat. If you’re interested in learning how to reduce the financial strain the holidays bring, then start holding out a small portion of every paycheck and put in a “Christmas” fund. Start doing this in January and by the time December rolls around, you’ll have plenty of money to go shopping with or for catering your big Christmas dinner and party - (or a trip away for the Holidays) and won’t have to worry about how you’re going to pay your bills! You can also buy gifts and Christmas food with those Christmas hamper clubs. You select all your Christmas shopping from their catalog at the start of the year. They then deduct a weekly installment from your account, and at the end of the year they deliver the works to your door - gifts, food, whatever you need. In some cases, it’s possible to wait until after the holidays are over to buy gifts. This is a good idea, as there are often New Year sales at massively reduced prices. It can actually be frustrating to find something you bought just days earlier, at half the price in the sales that come once the festivities are over! This works best in 2 ways... If you are just shopping for your own family, and they are happy to also shop and swap gifts in the New Year, you are all happy. I personally prefer to use these Boxing Day and New Year holidays as the time I shop for Birthday and NEXT Christmas gifts. This is also the perfect time to stock up on massively reduced Decorations, cards, gift wrap and so on for next holidays. Are you looking for a simple Christmas gift for your boss? 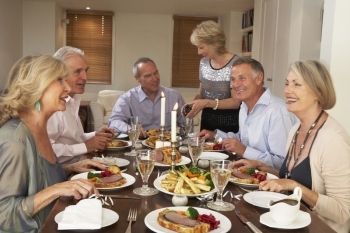 Are you getting together for a Christmas lunch and feel obligated to bring a gift? These types of occasions can be difficult to buy Christmas gifts for, you don’t want to look cheap by not bringing anything, but what is the perfect gift idea for your boss at Christmas time? The answer to your Christmas gift dilemma is simply to purchase a gift certificate and they can easily be bought online, or at any large retail store. You can easily purchase a gift card or voucher for a variety of products and in various amounts. If you know your boss has a hobby or special interest, you can then purchase a gift certificate in that area. If they love to read, then there are numerous bookstores which sell gift certificates. If you really don’t know too much about the person you are buying a gift card for, then purchase one from a large retail or department store. A store which has many types of items for sale, clothes, books, hobbies and craft supplies, you can never really go wrong with this option. Even though some people view giving gift cards as an easy solution, they are actually very well received. Everyone just loves to go into a store and spend money on something just for themselves. Who doesn’t have at least one item in mind, that you would just love to have, but you just don’t go out and buy. Well with a gift certificate you can do just that. Take the following points into consideration before starting on your Christmas gift ideas. Always plan ahead and start making your Christmas gifts early. Compile a list of all the people that you are making gifts for, and what you want to make them. Make sure you have enough time to make all these gifts. Estimate how much time you need to put aside each day, and stick to this schedule. You don’t want to end up with not enough gifts for everyone. Make gifts that you know you are able to make, if you all ready knit or make cookies, then it is easy enough to make suitable gifts for everyone on your list. There is no point in learning how to knit, before attempting to make blankets or gloves, you will only end up frustrated. Make sure that it is actually cheaper to make your gifts. Sometimes crafts and hobby supplies can be more expensive than you first realize. Make a list of what you need and price out each item. If you are truly saving money then go ahead and make the gift, if not you might as well purchase the gift. Don’t plan to make more gifts than you can actually handle. Realistically take a look and see how many gifts you can make and then choose your recipients in order of preference. Don’t get in over your head and have to be rushing around on Christmas Eve trying to get your gifts finished. When choosing what gifts to make, be certain that the recipient likes what you have in mind. Does it suit their interests and tastes? If you are baking or giving bath products, check to see if they have any allergies to certain ingredients. 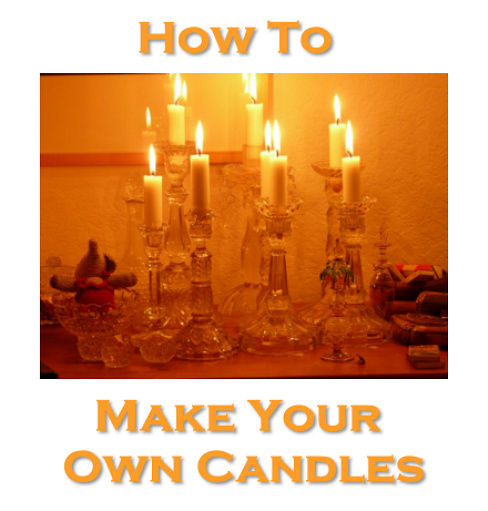 You can learn how to make candles on this site, they make wonderful gifts all year round! I use my Christmas Graphics pack to print out and use for decorating tins and boxes that make lovely keepsakes and storage containers. I fill them with biscuits or sweet scented candles, soaps, potpourri and so on. Put the lid on and slip it into a gift bag. Simple to do, inexpensive, you can make them throughout the year and then just fill and pack them at Christmas. You can also make gift that are generic for a whole group of people, like home beauty spa baskets for women, or create gift baskets suited for everyone, like gourmet food or gardening, just think of themes that most people have an interest in eg: candies, cookies and cakes - lol! and create a whole series of baskets to give throughout the year, or make a special selection for holiday gifts. This can be very inexpensive gift giving when buying and packing in bulk. Check my section here to learn how to make gift baskets. You can also just bake a big batch of cookies / biscuits, or make a Gingerbread House wrapped in cellophane. They make lovey gifts. Unique gifts are a precious thing to give at any time of the year. Wrapping gifts is probably the most irritating parts of the Christmas season, because it’s a task that doesn’t ever feel like it’s finished. And, if you wait until the last minute to wrap your gifts, it can definitely make you feel overwhelmed! So, reduce your stress this year. Find an available space in your home where you can set up a small cardboard table. Put your wrapping paper, bows, scissors, tape and labels on the table so you’re ready to get started wrapping. Then, wrap the gifts you buy when you buy them! While you may not want to send out your Christmas cards the day or two after Thanksgiving, there isn’t any reason why you can’t go ahead and fill them out early. In fact, if you take the time to fill out your Christmas cards before the end of November, you’ll be saving a lot of valuable time in December that can be used for something more pertinent. The same goes for Christmas party invitations. Get the party invitations filled out and ready to go three or four weeks before the party and then mail them out two weeks before the actual party. A lot of people make it a point to fill out their Christmas cards and party invitations the same day/weekend that they put up their holiday décor! I always appreciate receiving Christmas cards early in December, as it means I can display them all month and let them help me get in the spirit of the Holidays. You can also save money and be unique, by making your own Christmas cards this year. They are gorgeous and such fun to use on handmade cards and decorations. I make lovely decoupage biscuit and cookie tins every year with them too. This can be such fun for the family to do together every year and helps the kids to also learn how to keep Christmas simple. One of the best ways to channel kids’ excitement about this holiday is by engaging them in crafts that relate to the holiday. Not only are the crafts enjoyable to make, but they can be used as a tool for teaching children about the holiday, they can double as one-of-a-kind gifts and they can be used as decorations. With all of these benefits, who wouldn’t want to make Christmas crafts with kids? Turn your children’s handprints into a treasure that you can keep forever with this festive Christmas projects. Lay out a sheet of white paper and fill a paper plate with a shallow layer of green fingerpaint. Have children dip a hand into the fingerpaint and then press it onto the top of the paper. Have them repeat the process, pressing their two handprints side-by-side under the first handprint. Continue pressing handprints onto the paper, adding one more handprint in each subsequent row, creating the look of a triangle, or a Christmas tree. When the tree is complete, allow it to try and add decorations with different colored paints. Turn an empty soda bottle into Santa Claus. Clean out the bottle and remove the label. Tear up pieces of red paper and fill the bottle with them; alternatively, you can fill the bottle with red craft pom-poms. Once the bottle is full, screw the lid back on a glue a cotton ball to the top of it. Use a marker to draw facial features on the bottle and glue cotton balls on the bottle to create a beard. This wreath is a decoration that doubles as a treat. Cut the center out of a paper plate. Provide kids with wrapped candies, such as Hershey’s Kisses or small candy canes. Have kids apply a bit of non-toxic glue to the wrapper of the candy and press the glued-side of the candy to the plate, placing enough candies onto the plate to cover it up. Hang up the wreath and remove pieces of candy from the wrappers to enjoy a tasty treat. 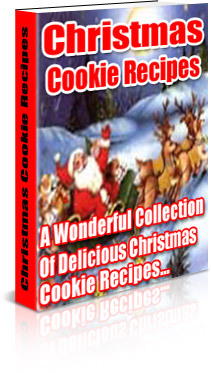 I have a huge library of Christmas ebooks and resources that includes lots of craft books for kids to make and also handmade Christmas gift ideas for you - including tons of Christmas recipes - all 100 ebooks on sale for only $5 today! Planning Christmas Dinner is probably the most stressful thing for moms to do. This is especially true if you are expecting a large number of people to come for the holiday dinner. The good news is that you don’t have to stress about it. Once again, the trick is to start planning early…like three weeks early! About three or four weeks before your dinner, decide on the menu. Write everything that you want to be on the table down on a piece of paper. Then, start creating your shopping list. Just go down the menu and write out all the ingredients that you need for each dish. A week and a half before the dinner, review the list and cross off the ingredients you have on hand…then go to the grocery store and buy what you need. In order to make the day of your Christmas dinner less stressful, prepare the side dishes in advance. You can either freeze or refrigerate them, then just reheat them the day of the dinner. If most of your guests live nearby, email everyone a copy of the menu and ask them to sign up to bring something on the list. This will take a lot of the burden (physical, emotional and financial) off of you and make the entire day more enjoyable. Another thing to keep in mind is that most people don’t mind helping out with holiday dinners and are happy to contribute, you just have to let them know what you need! Are you looking for a new way to show your appreciation and gratitude this holiday season? Are you looking to give gifts this year that are special and focus on giving rather than materialism? Consider making your own homemade edible gifts this year. When you spend your valuable time creating something from your heart, your friends and family know you love and appreciate them. It takes a bit of extra time, energy and attention to make something from scratch. However, in the long run it’s also easier than hitting the shopping malls and battling the crowd in search of that perfect gift. You can make one instead. The first step to creating homemade treats is actually two steps. You want to consider what you can make, where you’re skilled. You also want to take your recipient in mind. What do they like to eat? What foods are their favorites or what would they enjoy most? For example, if you’re making a treat for your young nieces and nephews, then perhaps they’d most appreciate candy. If you’re making a treat for your single brother, then perhaps he’d appreciate a ready to go soup and biscuits, with just "add water" instructions attached. Your second step will be to prepare a plan. What are you going to make and who are you going to make it for? You’ll want to make a detailed plan that also includes when you’re going to make your gifts. Take care to keep your gifts in mind. For example, if you’re baking bread for family and friends, you’ll want to make it close to the day you’re actually giving it to them. Hold onto it too long and you’ll be giving them stale bread. Next you’ll create your shopping list. In addition to writing down all the ingredients for your recipes, you’ll also want to shop for the packaging. How are you going to package and wrap your treats? Will the packaging be part of the gift? For example, if you’re baking homemade bread will you also give your recipient a bread pan or will you deliver it on a disposable plate? If you’re making edible treats that your recipient can assemble themselves, you might want to purchase nice jars or containers for the ingredients. For example, if you’re giving someone oatmeal cookies, you might layer all the ingredients in a large mason jar. Tie a ribbon around the outside and then attach the mixing directions to the ribbon. They may have to add an egg and water but the rest is done for them. Packaging can play an important role in your homemade gifts. Have fun making your homemade edible treats. Set aside a day or a weekend from the process and really enjoy yourself. Your passion, joy and enthusiasm will show in your results. No matter if your finances are tight this year, or you just want to cut back on your Christmas spending, it is a great idea to create a workable Christmas budget. Christmas is a time when it is so easy to go overboard with your spending, so a Christmas budget will help you keep your spending in check. First off, you want to write up a list of your expenses. Not just for Christmas but for the entire month, a good way to do this is to get out your bank statement and record all of your payments and other expense items. Allow for extra expenses for your child at school, for your babysitter and even for yourself at work. Just in case you have a Christmas lunch to attend. Unexpected costs can crop up at any time, and Christmas is notorious for this. It is actually better to over budget for something, any money left over can be put back into the bank. Type up your budget and save it onto a spreadsheet, this way you are more likely to use your Christmas budget. You can download budget templates online and they can be used throughout the year, not just at Christmas time. A formal budget will allow you to track your spending habits and keep you in control of your money. Set a spending limit for your Christmas budget. How much can you truly afford to spend? Allocate enough money to pay your monthly expenses and see what you have left. Then divide this between how many people you have to buy for. Now you know what you can comfortably spend on each person. If you don’t have enough money, is there someone that doesn’t really need a gift. Possibly a distant relative who would be happy with a gift card or Christmas wish recorded on a DVD. You will have to be strong willed enough to make cuts where necessary. If you need to cut back, try to cut back on areas such as Christmas cards, can you send email cards instead? You can actually get a year’s subscription to an e-card service very cheaply. Then you have cards all year long. By sticking to your budget, you will learn to be creative in some areas. But this is the only way to stay on track and not end up with huge bills in January. Keep track of your spending in your spreadsheet, enter your receipts weekly if not daily. This way you are controlling your cash each week and will easily tell if you have overspent or not. By getting the whole family on track with your Christmas budget you can teach your children how to have a wonderful Christmas without spending thousands of dollars. Once you appreciate how valuable your Christmas budget was, you will be creating budgets for different occasions all year long. The added expense of the holidays can really pile on the stress during this time of the year. Instead of letting money get you down, budget yourself. Set a budget for the holiday season well in advance and stick to it. Calculate how much you expect to spend on gifts, wrappings, food, decorations, shipping and any other added expenses that may pop up. Figure out how much disposable income you have between the time you start creating your Christmas Nest Egg (at least six months in advance of the holiday) and set aside percentage of that income each week. Even if the amount seems to be small, even just putting an $5 into your Nest Egg each week will add up and give you a decent amount of money to spend on the holiday. Every year we face the same stress that comes with the holiday season – keeping our costs under control. It’s not always the easiest thing to do, and with all the extra holiday temptations it only gets harder. It’s traditionally the most expensive time of year for families, and while this can’t easily be changed it doesn’t have to mean that things are unbearably expensive or that money can’t be saved. 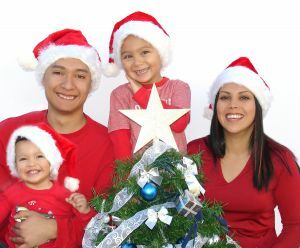 This page has hopefully given you a few ideas for how to keep Christmas simple and more stress free, but since money hassles are usually the biggest cause of stress, its worth considering how to specifically find a bit more cash for the holidays. Another easy way to help control holiday costs is to cut back on buying the usual luxuries in the last few months leading up to December. Don’t buy all the luxury foods or other products that you usually would. And that will also help to build up some anticipation for the holiday dinner and treats ahead! Buy the budget shampoo and shower gel for a few months instead. Check out the no-brand or plain-label produce in the supermarket, and simply cut back on the spending so that you can pocket the change to put toward the bigger December catering and celebrating costs. Little things like this can make you quite a big saving. Since you are busy shopping for gifts it is obvious that other people are too. And the items you would die for last year are sometimes things that just take up room once they lose their novelty. Have a good look around the house, do a clear up to get the house more organized before you start decorating, and keep an eye out for products that are saleable enough to attract an eBay auction buyer. It is only a few minutes work to put it online, and then to pack and post it when it is sold. You might surprise yourself with a tidy cash bonus this year! This is another great excuse to clear out those objects around the house and garden that really don't serve you well anymore. Make a weekend or two available to put it all on the porch or the driveway and sell it in a day! My all-time favorite way to raise money or to get things done or buy stuff I need, is to simply barter. I offer my services or products, for a straight swap of the products or services that I want for myself. You can use items you were planning to sell, or you can do the chores for others like washing their car, clean windows, mow lawns, clean house, cooking or baking .... how about you help someone to put up their decorations in their house or yard, in return for a product or service they can swap for you? One year my friend Cheryl wanted to give her friends a basket each filled with a variety of home baked cookies for Christmas, so she paid me to bake a mountain of biscuit cookies . It saved her many days of work, and made me the money to pay for the ingredients for all of my own Christmas baking list. Win-Win for both of us. Talk to friends or family about this idea, you may be very surprised by some great bartering ideas that come from it. The Christmas season is supposed to be a joyous time of the year, filled with family, friends, good tidings, love and great memories. However, between all of the shopping, the cooking, the decorating, the crowds, the stretching of your budget and any other preparations, the Christmas season can become quite a stressful time of the year. Don’t let the stress of the season turn your holiday into something that you dread; instead, take a deep breath, relax and put the joy back into the Christmas season. It is not just gifts that make Christmas special. You want to enjoy the entire holiday with family and friends. The following are some Christmas ideas you might like to try this year. As you know, there are always a ton of Christmas festivities that go on between Thanksgiving and Christmas. It’s hard to make them all, and can actually be quite exhausting if you do try to attend all of them. In order to simplify things, let everyone in your family pick one holiday festivity that they would like to attend and make those festivities a priority to attend. This allows everyone in the family the ability to do attend one festivity that they will enjoy while not cluttering up the calendar. Everyone is so busy at Christmas running around and preparing items. Make sure you take the time to sit down with your close friends and neighbours and enjoy some quality time. This doesn’t have to mean giving gifts, just sit down over tea and cookies and spend some time together. Nothing is better than sitting and watching a traditional Christmas movie with your family. When was the last time you watched White Christmas or It’s a Wonderful life? How about listening to some traditional Christmas carols, they will bring back memories of going door to door caroling with your friends. Let your kids decorate the tablecloth for Christmas dinner. Give your kids lots of colors of markers and use pictures from coloring books. Put the pictures behind the plastic table cloth and let outline the Christmas pictures from the coloring books on the plastic tablecloth. have a beautiful tablecloth handmade by your children. Your kids will absolutely love this and be proud to sit at a table with their artwork on it. Have you ever taken your family out to cut a tree down? This can be a very fun activity for kids because they can walk through and pick their own tree and then plant a new one to replace it. Look around in your local area to see if you can find a place that allows you to cut your own tree. Once you cut down the tree you can let your children decorate it any way they like. Take your children to see the lights and drive around neighborhoods and parks to see all the displays. Children enjoy this very much and they never forget the memory of driving around with mom and dad looking at lights. Number the treats so the kids know how many days it is until Christmas. Have your family go online and pick one or two Christmas songs that they like on a music download site. Make a batch of sugar cookies a couple of days before Christmas and cut out Christmas shapes. different sprinkles and small candies. Let all the kids make a few cookies each. Tell them to be as creative as possible and make some silly and some fancy. When you are unwrapping the gifts be sure to save all the paper. Have fun with the kids (and the adults if they want to) by sitting around the table. Now have some kid safe scissors, tape, ribbon and a few small Christmas ornaments on the table. Have each kid take the paper and accessories and design a hat. Let them make any design they want, then be sure to get pictures of everybody with their hats on separately and together as a group. What a great addition to your Christmas scrapbook! If your family is growing and you have now have got too many members counting grandchildren, nieces, nephews, your own children and your parents, you may want to consider doing a gift exchange. The way to do this is put everybody's name into a hat, and then have each person draw one name that they will buy a gift for. You will want to put a price limit on it on the gift so that everybody knows not too go over. Now when you have your family gathering for Christmas, everyone can pass out their gifts and be sure that everyone gets one. Next each person picks a number out of the box and that is the gift they get. Now everyone opens their gifts. at everybody's gifts and if they want somebody else's gift instead of the one they got, they can change it by taking someone else’s and giving them there gift. steal a least one gift. Now just to make it even more fun, go around the room one more time and let everyone have another turn. This can be a lot of fun as you may steal a gift you want and then somebody can come and steal it from you. Maybe on your second turn around you might be able to get it back. Another fun game with gifts would be to buy a $1-$2 gift for each person in the family and then let each member go through and shake and feel the gifts and see if they can guess what it is. The first one you guess right is the one you can keep. You will need to number these and write a list of what is in each one so you will know when someone gets it right. Party Games are great fun for kids as well as adults. Here I'll feature a few free games ideas you can play at parties or just on Christmas Day as the family gathers. Set up enough chairs so that there is a chair for everyone but one person. Start the music and have everyone dance around the chairs to the music. After a minute stop the music, and then everybody has to hurry and sit down. The person that does not get a chair is out of the game. a chair is out of the game. Keep doing this, removing one chair after each turn until you're down to the last two people and only one chair. The person that gets the last chair when the music stops wins the game. Another fun game to play on Christmas day is the memory game. and then put it back in. each team form a line. Fill a bowl with cotton balls. stick to their face and form a beard. Once they are done they run back and get in the back of their line. The next player then takes their turn. The first team that all has beards wins. watching adults playing a little kid's game. now, won, was and so on. Longer words work the best for finding more words so here are some suggestions of words you can give them. Christmas, poinsettia, snowballs, ornaments, reindeer and the other words you can think have. The one with the most words, wins. Have More Simple Fun With Christmas Games Featured Here! No matter what kind of activities you choose to do for the holidays, just make sure that everybody enjoys them. The holidays are great time for your family to become closer and enjoy each others company. The holidays should be filled with fun, laughter and good times with family and friends…not stress. Therefore, do yourself a favor this year and put some of these tips to good use for how to keep Christmas simple! deeds and the spirit of our lives manifest the presence of God." Find the Perfect Christmas Gifts this year Online! Shopping for Christmas gifts online is becoming increasingly popular and easy. Due to the amount of competition online, it is easy to find great deals and bargains, with many stores offering free shipping and delivery. To find the ideal Christmas gift you can shop at any of the major online stores such as Amazon. Here you have all your gift ideas under one roof. You can browse all the various departments while enjoying a cup of coffee. No worries about being crushed with the hordes of Christmas shoppers. Online stores have a wide variety of gifts from which to choose. There are best selling lists within each store. This way you can easily find the most popular gifts for this year. What child does not want to receive the most up to date toys, DVD’s and video games? So even if you aren’t sure what toy is all the rage, using the best selling list is a sure way to find out. Check out the HOME PAGE to learn more tips about things like how to keep Christmas simple and fun. 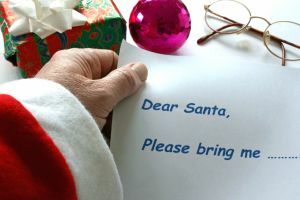 Below here I'll list every kind of suggestion I can give you for your shopping and making gifts including Christmas gifts for couples, kids, men, women, pets .... absolutely everyone and anyone! I am absolutely certain that you will find suitable suggestions for the perfect gifts you want to give this year! How to Get All of Your Holiday Shopping Done With No Stress! Was there really a Santa Claus? Christmas quotes and Fun Christmas sayings. Chrismas fun going caroling with the family! Christmas gift ideas are classified into quite a few categories. Christmas Lights have come a long way! Choose Well When You Shop For Your Wife at Christmas! Need Ideas for Christmas Gifts For Your Boyfriend? What Christmas Gifts Are Suitable For Coworkers? Will You Get Your Pet a Christmas Stocking? What about these luxury Christmas gift food ideas? Have You Considered These Wine Cheese or Meat Food Gift Ideas for Christmas? Please note: Helene Malmsio is a participant in the Amazon Services LLC Associates Program, an affiliate advertising program designed to provide a means for sites to earn advertising fees by advertising and linking to Amazon.com.